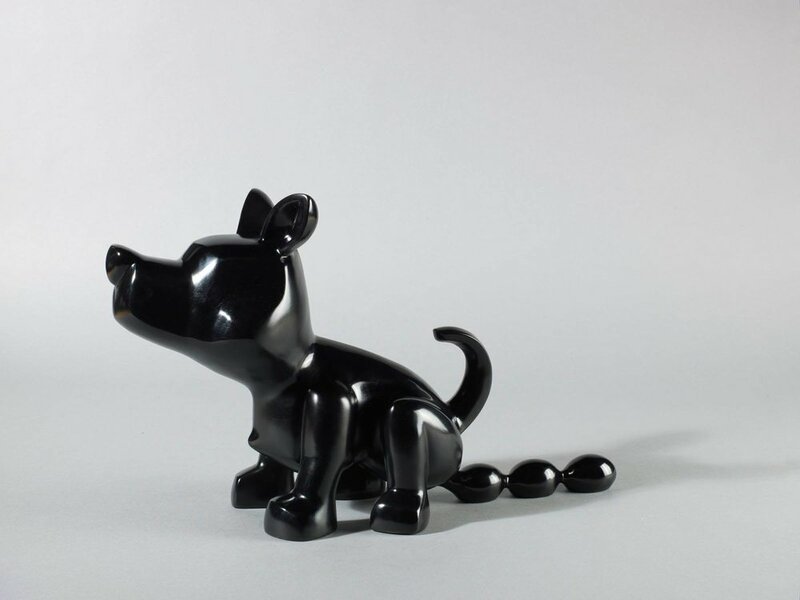 Poren Huang was born in central Taiwan and is known for his Taiwanese aboriginals and “Taiwan Dogs” sculptures. Poren chooses to use copper and the occasional stainless steel in his work because of their high melting points and durability. This is meant to emphasize eternity. Some of the works are welded with three layers of 99% pure gold leaves to further convey the idea of light or extreme positivity. The series “The Dog’s Notes” is not meant to be life like, but a simplified approach to creating an artistic concept. Poren hopes to draw his audience in, so he deliberately enlarges the heads to render them amusing. Whether dog or human-like sculptures, the chest is often prominent. Since the chest of a short-haired dog tends to be protruding, Poren exaggerates its perspective even more to emphasize confidence or a strong heart. In addition, the nose is also enlarged and the eyes omitted because dogs have weak eyesight but a sensitive sense of smell. The body of the sculpture tends to be strong and powerful, often with the head held high and even a little arrogant to arouse in audience the urge to pet its head. In the series Poren added the quality of loyalty and kindness to purify the human heart and create positive influence.